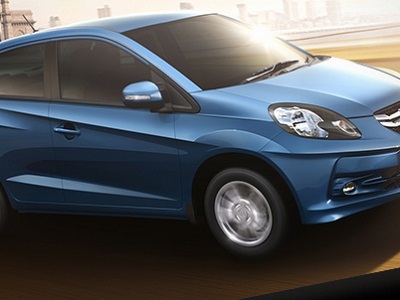 Honda is studying the small car market, which is considered the mass volume segment in India. Chennai: Japanese carmaker Honda is studying the small car market, which is considered the mass volume segment in India, a top company official said here on Thursday. "As a car manufacturer we are studying that segment. We have not come to a conclusion", Honda Cars India Senior Vice-President (Sales and Marketing), Jnaneswar Sen said. He was responding to a query when asked about reports that Honda Cars India was looking at launching a sub-Rs four lakh car, considered the mass-volume segment, along with a sports utility vehicle. This segment comprises the country's largest carmaker Maruti Suzuki with its Alto, Eon from Hyundai Motor India and "GO" from Datsun. Sen, along with senior company officials were here to launch the company's latest multi purpose vehicle "Mobilio", priced between Rs 6.80 lakh (for the basic petrol variant and Rs 10.17 lakh for top-end diesel variant, (ex-showroom Chennai). On the company's plans, he said Honda Cars India has set a target of retailing 300,000 units by 2017.That target comprises existing products along with the ones in future, which include the Jazz, expected to hit Indian roads next year. Sen, however, declined to share any information on whether the company was looking at more products from Honda Cars India. At present, Honda Cars India retails the premium hatchback Brio, compact sedan Amaze, premium sedan City and premium SUV CR-V. Commenting on sales of diesel variants as the company entered the diesel segment last year, he said, "55 per cent of the sales in Honda Amaze (compact sedan) constitute diesel while 45 per cent was petrol variant". He said the company expects to cross sales of one lakh units of Amaze range of models by this week.On recruitment plans, Sen said the company had plans to add another 900 to 1,000 people to the existing 9,000 employees. "This is basically for our second plant in Tapukara, (Rajasthan). We are looking at adding another 900-1,000 people. Total employee is about 9,000" he said.Sen said Honda Cars India has so far invested Rs 6,000 crore. The company has two facilities, one in Greater Noida and another in Tapukara, Rajasthan with a total capacity of 2.40 lakh units.